Elf Ears © FREE From The Queen, for Mothers Day! These new Elf Ears are like a dream COME True! 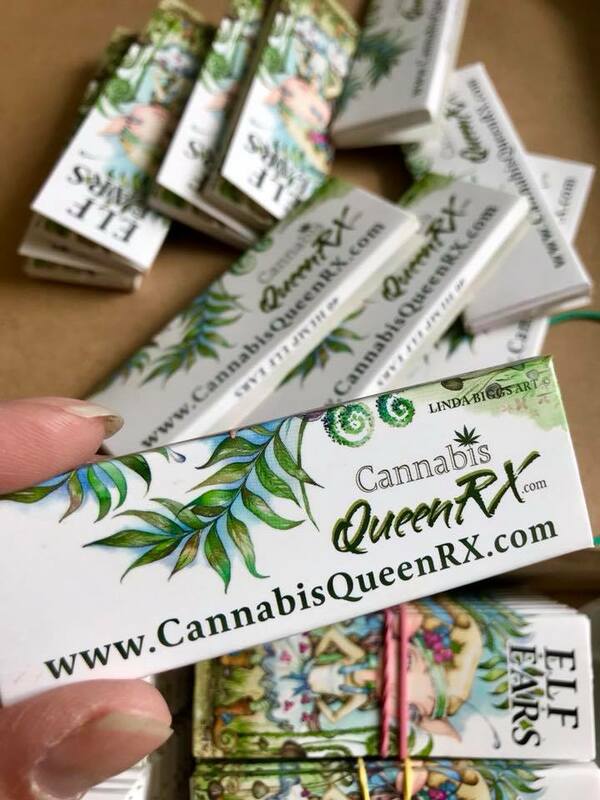 The image on the new Linda Biggs Cannabis QueenRX Folio is the First Art Image I was able to create after the horrific Accident, in 2012. The little Elf, was a tried but True watercolor experiment. I kept at it. It was proof that Medical Cannabis WORKS! #CannabisSavesLives. See my arms and hands are partially paralized and numb from neuralgia. I could NOT hold a paint brush. With continued use of Cannabis and a training program, LOOK Magic Happens. This is my favorite of all my images it is proof, of what is possible ! 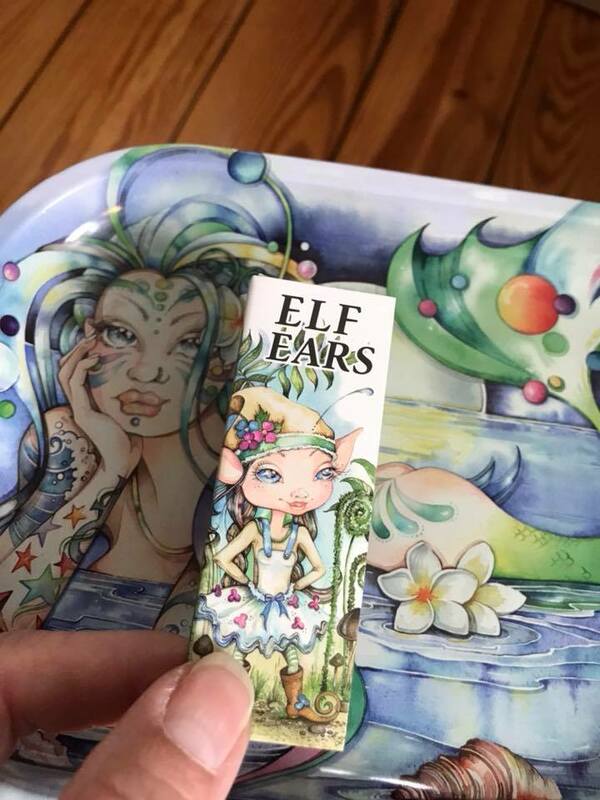 We are offering this little Elf Ears Hemp #LindaBiggsRollingPaper Folio FREE, while Limited Edition Supply lasts. with the RETAIL Purchase of our Mermaid Rolling Tray! Enjoy, I am soooo very happpy! and yes She will be hand signed TOO! How I will savor Spoutwood Fairie Festival.